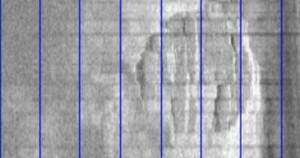 The purpose of this blog was to spread the knowledge of deep sea UFO’s which are also known as USO’s, Unidentified Submerged Objects. Many people talk about UFO’s, but rarely mention USO’s. The world’s waters have not been completely explored and sightings have been around for years. In my point of view, if USO’s are real, I wouldn’t be surprised, but if they aren’t it’s still a fun thought to entertain. 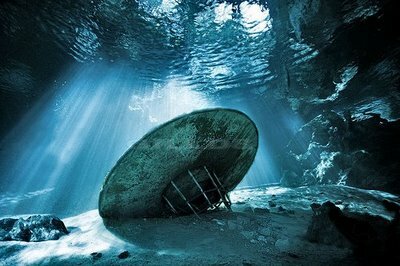 While searching for deep sea treasures, a team of ocean explorers from Sweden ended up finding a UFO-like looking object instead. 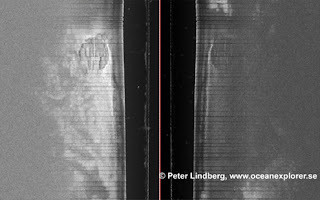 Information obtained on the ocean explorer website shows that the object was found at 285 ft (87 meters) below the surface of the Baltic Sea between Sweden and Finland. The leader of the ocean explorer team, Peter Lindberg, claims that the object is 197 ft (60 meters) in diameter and forms a complete circle. He also says that next to object, there is a 1000 ft (300 meters) slide track. Some people compare this found object to Han Solo’s ship in Star Wars, the Millennium Falcon. I for one cannot explain the slide track next to the object, but for my interpretation and inference of the photographs I feel it looks like a rock formation that is aesthetically similar to the Millennium Falcon. Lindberg and his team are currently fundraising for another diving excursion to unmask this mystery. Do you think it’s a USO? Here’s a link to world maps of reported UFO sightings. For whichever hemisphere map you choose to look at, if you look at the bodies of water around the continents, the dots indicate a USO sighting.